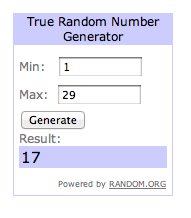 And the winner of a signed copy of Megan Dougherty's new book, Quilting Isn't Funny is lucky winner 17! I am so happy to say I got the request for a wedding quilt that her guests could sign on the back from my daughter and I finished it just in time for the wedding 3 weeks later. Merry Christmas from Oklahoma, USA. Thanks for sharing your proudest 2013 finishes with me - -it was so fun to read about all you had been working on. Most importantly, thanks for dropping by to support Megan & her awesome book! If you've been following along the blog tour celebrating the release of the super fab Megan Dougherty's new book Quilting Isn't Funny, you probably already know how hysterical and awesome this book is. If this is the first you're hearing about it, I will be delighted to tell you all about it! You may already know Megan's work from Quilter's Home and Generation Q, or from her blog "The Bitchy Stitcher." 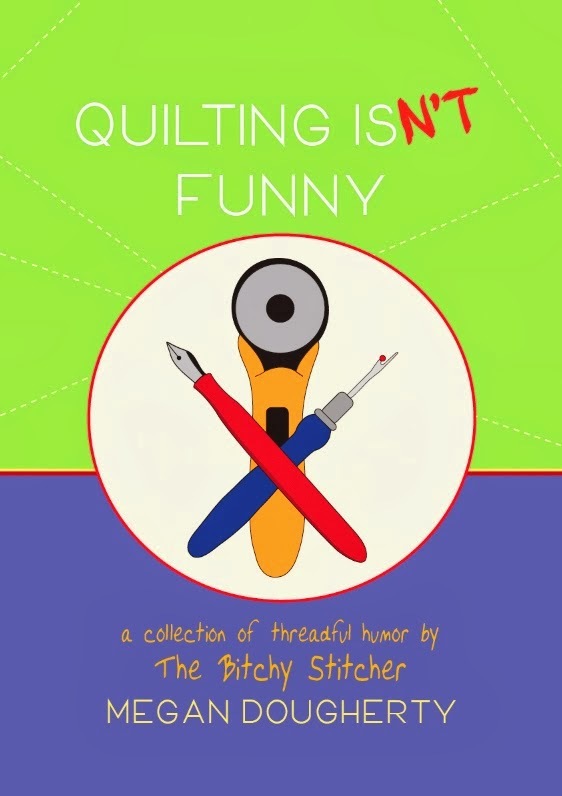 Well - long story short, Megan has published a book of essays, anecdotes, tales and stories about what it's really like to be a quilter - no, like, seriously what it's like - and the results are truly hysterical! The book includes some of Megan's previously published pieces you know and love as well as two brand new essays for the book. Megan also gives insight throughout the book as to how she came up with the piece - - I guarantee you, if you're a quilter, you can relate. Megan's book is on sale now here, available in paperback or PDF/Kindle formats. You can read through a bit of the book with the "Look Inside" feature and check it out for yourself. This giveaway is now closed. And guess what? GIVEAWAY! Megan has graciously allowed me to give away a copy of the book to one of y'all. To enter, just leave a comment (one entry only please) on this post about what your proudest quilting "finish" is this year. Entries close today (Friday) at midnight EST, winner posted on Saturday. Please check out Megan's book. 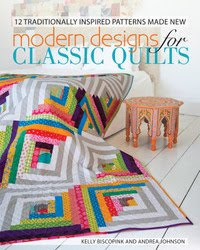 I truly think you'll enjoy the book, but Megan is also a wonderful person who is a huge supporter of the quilt community - - and I know we all want to support her right back.